With the ability to manipulate cells temporarily and spatially into three-dimensional (3D) tissue-like construct, 3D bioprinting technology was used in many studies to facilitate the recreation of complex cell niche and/or to better understand the regulation of stem cell proliferation and differentiation by cellular microenvironment factors. Embryonic stem cells (ESCs) have the capacity to differentiate into any specialized cell type of the animal body, generally via the formation of embryoid body (EB), which mimics the early stages of embryogenesis. In this study, extrusion-based 3D bioprinting technology was utilized for biofabricating ESCs into 3D cell-laden construct. The influence of 3D printing parameters on ESC viability, proliferation, maintenance of pluripotency and the rule of EB formation was systematically studied in this work. Results demonstrated that ESCs were successfully printed with hydrogel into 3D macroporous construct. Upon process optimization, about 90% ESCs remained alive after the process of bioprinting and cell-laden construct formation. ESCs continued proliferating into spheroid EBs in the hydrogel construct, while retaining the protein expression and gene expression of pluripotent markers, like octamer binding transcription factor 4, stage specific embryonic antigen 1 and Nanog. In this novel technology, EBs were formed through cell proliferation instead of aggregation, and the quantity of EBs was tuned by the initial cell density in the 3D bioprinting process. This study introduces the 3D bioprinting of ESCs into a 3D cell-laden hydrogel construct for the first time and showed the production of uniform, pluripotent, high-throughput and size-controllable EBs, which indicated strong potential in ESC large scale expansion, stem cell regulation and fabrication of tissue-like structure and drug screening studies. With the capability of self-renewal and differentiating into all somatic cell types, embryonic stem cells (ESCs) hold great promise as an in vitro model system for studies in early embryonic development, as well as a robust cell source for applications in diagnostics, therapeutics, and drug screening . Derived from the inner cell mass of a blastocyst, ESCs requires delicate culture condition and trend to cluster together, and in particular, forms three-dimensional (3D) cellular spheroids termed embryoid body (EB) . In order to better understand stem cell niche and regulation of ESC differentiation and reprogramming, in vitro recapitulation of the spatial distribution of cells, cell–cell and cell–matrix interactions, is of paramount importance [3–5]. Compared with 2D monolayer culture, 3D cell culture is believed to confer a higher degree of clinical and biological relevance to in vitro model [6, 7], since the spatial arrangement of cells and extra-cellular matrix could influence cell differentiation and function both in vivo  and in vitro. Therefore, reconstruction of 3D cell microenvironment is critical to directing stem cell fate and generating cell sources for tissue engineering, regenerative medicine and drug screening studies. By mimicking some of the spatial and temporal aspects of in vivo development, EB is a basic 3D model for ESCs culture and differentiation studies. It was reported that the size and uniformity of EBs could vastly influence stem cell fate [10–12]. Various methods have been used to fabricate such cellular spheroid, basically including static suspension, hanging-drop and multiwell culture, most of which doesn’t involve biomaterials. Static suspension method inoculate suspension of ESCs onto non-adhesive plate to allow cells spontaneously aggregate into spheroid. This method is easy to operate, but showed limited control over the EBs size and shape due to the probability that ESCs encounter each other accidentally . Hanging-drop is a common method to produce size-controlled homogeneous EBs, where droplets of ESCs suspension are pipetted onto the lid of a Petri dish and EBs was generate by gravity after overturning the dish . However, manual pipetting is labor intensive and the reproducibility varies with operators. Multiwell culture offers high-throughput solution for EB formation through cell aggregation in uniformly shaped microwell arrays but requires expensive microwell culture plates [10, 15]. Besides, there are few customized microwell culture plates available in the market. Recent advances in bioprinting technologies facilitated the precise deposition of ESCs in a reproducible manner. Xu et al  and Shu et al  printed ESCs suspension solution into 2D patterns as hanging-drop approach for EB formation, without the cell-biomaterial interaction. Corr and Xie [18, 19] applied laser direct-write method in bioprinting of mouse ESCs together with gelatin. ESCs maintained the pluripotency while proliferation and formed EB. EB size can be controlled by cell density and colony size. However, these studies just generated 2D cellular array without 3D cell–matrix interactions, and cell–cell interaction happens within one drop but not among different drops. To better recapitulate the characteristics of in vivo cell microenvironment, 3D customized cell/matrix construct with macro-porous structure might be a preferred choice. To our knowledge, there has been no report about bioprinting of ESCs into 3D cell-laden constructs. The extrusion-based temperature-sensitive 3D bioprinting technology was developed in our lab and has been utilized for bioprinting of hepatocytes , adipose tissue-derived stem cells (ADSCs) , C2C12 cells , hela cells  and 293FT cells . Most commonly used biomaterials for this technology are gelatin and alginate. Gelatin, a type of denatured collagen, is widely used as a coating for feeder layer-free mouse ES cell culture. Alginate, extracted from brown algae, is proving to have a wide applicability in tissue engineering and drug delivery and also used in embedding mouse ESCs for EB formation . It has been proved in many studies that encapsulation of ESCs in hydrogels would direct EB formation with the maintenance of pluripotency [26–28]. Hence, we hypothesized that the bioprinting of 3D ESC-laden construct would maintain the stem cell pluripotency and address the challenges associated with the current methods for EB formation. In this study, we investigated the feasibility of applying extrusion-based temperature-sensitive 3D bioprinting technology in bioprinting of ESCs with hydrogels into 3D macro-porous structure, with the maintenance of viability, pluripotency, cell growth and to direct EB formation. Printing process parameters were optimized to obtain a high cell survival rate (90%) after printing process and construct formation. Stem cell pluripotency was examined by the expression of stem cell markers (octamer binding transcription factor 4 (Oct4), stage specific embryonic antigen 1 (SSEA1) and a homeodomain-bearing transcriptional factor (Nanog)) and the ability to form EBs. The regulation of EB formation in the 3D bioprinted construct was systematically compared with commonly used methodology, where EB formation relies on cell aggregating as well as cell proliferation. Results demonstrated that this novel technology generated pluripotent, high-throughput, highly uniform and size controllable EBs under static culture condition without complex equipment. This study established the feasibility of fabricating 3D in vitro tissue-like model using ESCs for the first time, creating engineered microenvironment for pluripotent stem cells with the ability of placing cells and materials spatially in a reproducible manner. In this study, many process parameters, e.g. nozzle inner diameter, nozzle insulation temperature and chamber temperature were examined to optimize cell viability after 3D construct fabrication. It was demonstrated that larger nozzle diameter resulted in higher cell viability (figure 2(A)). Specially, the cell viability under Nozzle-160 μm (81.59% ± 1.74%) was lower than those under Nozzle-260 μm (88.06% ± 1.98%), Nozzle-410 μm (89.59% ± 0.71%) and Nozzle-510 μm (90.84% ± 1.02%), with significant differences. Nozzle diameter of 260 μm, 410 μm and 510 μm showed no significant differences in terms of cell viability. Figure 2. The influence of bioprinting parameters on ESC viability is determined by fluorescence live/dead staining. (A) The influence of printing nozzle inner diameter on ESC viability (Insu-30 °C and Cham-10 °C). (B) The influence of nozzle insulation temperature and chamber temperature on ESC viability. Insu-25 °C means keeping the nozzle insulation temperature at 25 °C. Cham-4 °C means setting the chamber temperature at 4 °C, and so as others. (C) The fluorescent staining images show the live (green) and dead (red) cells at different days during culture period. Scale bar: 100 μm. Insulation and chamber temperatures were altered to study their influences on cell viability (figure 2(B)). As a positive control, ESCs/hydrogel mixture without bioprinting were stained with fluorescence live/dead reagent, and showed 93.14% ± 1.31% cell viability. When insulation temperature was set at 25 °C (labeled as ‘Insu-25 °C’), cell viability increased with the chamber temperature from 55.52% ± 2.37% under 4 °C (labeled as ‘Cham-4 °C’) to 78.22% ± 2.55% under 10 °C (labeled as ‘Cham-10 °C’) with significant differences. When the insulation temperature was set at 30 °C (labeled as ‘Insu-30 °C’), nearly 90% ESCs remained alive under the chamber temperature of 7 °C and 10 °C (labeled as ‘Cham-7 °C’ and ‘Cham-10 °C’), significantly more than that under Cham-4 °C (72.40% ± 2.46%). To achieve both high ESC viability and a clear construct configuration, the process parameter combination of Nozzle-260 μm, Cham-10 °C and Insu-30 °C was chosen. After culturing for three days, few cells were found dead, which were isolated from living EBs (figure 2(C)). On day 5 and day 7, a few dead cells were observed on the edge of EBs. About 5% ESCs were stained dead on day 7. As the static culturing continued, 9.69% ± 1.77%, 17.72% ± 2.91% and 40.64% ± 2.06% were found dead on day 8, day 9 and day 10, respectively (supplement 2). So, we chose 7 days as the culture period in the following analysis. A 3D cellular construct with the cross section of 8 mm × 8 mm and height of 1 mm was fabricated under the optimized process parameter. The 3D construct demonstrated macro-porous grid structure in which the hydrogel threads were evenly distributed according to the computer design (figure 3(A)). Both the width of the threads and the gap between the threads were homogeneous, that is 728.2 μm ± 24.9 μm and 424.3 μm ± 17.8 μm, respectively, suggesting 3D cellular construct formation in a highly controlled manner. ESCs were embedded uniformly in the hydrogel matrix threads, developing a specific 3D microenvironment. Figure 3. Images of the printed cellular model with grid structure. (A) Full view of the cellular construct. (B) Phase-contrast images demonstrating the cell morphology and distribution of different cell density at day 3, day 5 and day 7. Scale bar: 1 mm. During the culture period, ESCs tended to grow as spheroid cellular aggregates, also known as EB. The cell density in the 3D hydrogel construct were determined by the initial cell density in the ESC/alginate/gelatin mixture and showed significant influence on the yield and density of EBs formed in the construct (figure 3(B)). It was demonstrated by semi-quantitative analysis of figure 3(B) that, the percentage of area occupied by EBs varied from 52% to 85% when initial cell density changed from 0.5 mln mL−1 to 2.0 mln mL−1 . Most of the EBs were contained in the hydrogel threads in the culturing period. However, when the initial cell density was as high as 2.0 mln ml−1, some of the EBs were observed running off from the threads into the throughout holes. ESCs formed spheroid EBs in the 3D hydrogel construct and the diameter of the EBs enlarged with culturing time while keeping their spatial location in the hydrogel thread, indicating EB formation by ESC proliferation rather than aggregation (figure 4(A)). Compared with traditional 2D culture, ESCs showed different proliferation rate indicated by the OD value measure by CCK-8 kit (figure 4(B)). The normalized OD value of the 3D in situ group grew faster than that of 2D from day 1 to day 3, while slowing down after day 3 and being much less than that of 2D at day 7. However, 3D harvest group showed a generally faster growth rate than 2D during the one week culturing, with a significant difference. In addition, the diameter of EB was also measured to indicate ESC proliferation rate. When comparing the normalized EB volume with normalized 2D OD value, 3D samples also maintained a significantly faster growth rate than 2D, though the EB volume had huge variance (figure 4(B)). Figure 4. EB growing and cell proliferation. (A) Magnified images of the same location in 3D printed cellular construct at different times. (B) ESC proliferation in the 3D construct compared with 2D culture. All the date were normalized to the value of day 1. Scale bar: 200 μm. Pluripotency markers, i.e. Oct4, SSEA1 and Nanog were analyzed to determine the pluripotency maintenance of ESCs after 7 day culture in the 3D hydrogel construct. Immunofluorescence staining and flow cytometry analysis showed that almost all of the cells within the EB were successfully stained both Oct4 and SSEA1. Because of the limitation of confocal capacity when dealing with large scale aggregates, the central part of the EB was darker than the edge (figure5(A)). Flow cytometry analysis demonstrated that 97.2% and 99.0% cells were positively stained with Oct4 and SSEA1 respectively (figure 5(B)). The qRT-PCR results demonstrated that the gene expression level of Oct4 and Nanog in our 3D samples were close to those in 2D (within the deviation of ±3%), without significant difference, confirming that cells have maintained pluripotency (figure 5(C)). Figure 5. ESC pluripotency at day 7 was determined by CLSM, flow cytometry and qRT-PCR. (A) Immunofluorescence images of EBs stained with Oct4, SSEA1 and DAPI. (B) Quantification of 3D dissociated cells marked with Oct4 and SSEA1 by using flow cytometry. (C) Gene expression of Oct4 and Nanog in 3D versus 2D by using qRT-PCR. Scale bar: 50 μm. EBs were harvested from the 3D hydrogel construct at different time intervals to analyze EB morphology (figure 6(A)). Most of the EBs were separated without fusion. The center part of the EBs was darker than edge part, especially at day 5 and day 7, indicating the 3D sphere structure of EBs. Through analyzing the size of 250 random EBs for each sample, the histogram of EB diameter were obtained, showing a Gauss distribution curve (figure 6(B)). The results demonstrated that the EB size increased significantly from about 50 μm to about 110 μm when the construct was cultured from day 3 to day 7 (figure 6(C)). Cell density had little influence on EB average size. However, increased cell density would result in the reduction of the uniformity of EB size, especially at day 7; the EB diameter of 2.0 mln mL−1 group at day 7 was vastly heterogeneous, with a deviation of 42.30 μm, which was much more than those of other two groups. Figure 6. EB formation in different cell density: (A) optical images of released EBs at different days. (B) EB diameter and (C) EB circularity distributions at different days. Summary of the (D) diameter and (E) circularity. 250 EBs were applied for diameter and circularity measurements for each group. Scale bar: 200 μm. Circularity was measured to assess the quality of EBs (figure 6(D)). For the 0.5 mln mL−1 group, most of the EBs were close to a standard spheroid with the circularity centered in 0.9 for the three time points. As to the other two groups, the circularity at day 3 is similar to that of 0.5 mln mL−1group, while the circularity frequency peaks had a significant decrease at day 5 and day 7. In particular, about 20% EBs had a circularity under 0.8 at day 5 and day 7 for the 2.0 mln mL−1group. In general, the circularity decreased with the increase of culture time and initial cell density in the hydrogel (figure 6(E)). Considering this was a novel methodology of EB formation, we systematically compared the commonly used static suspension and hanging drop methods with the 3D bioprinting method for EB formation. As demonstrated by the phase-contrast images (figure 7(A)), EBs generated by static suspension method showed more uncontrollable morphology rather than round spheroid. The distribution of EB diameter clearly demonstrated that 3D bioprinting technology generated EBs with higher uniformity compared with static suspension technology, especially for the larger EB diameter, i.e. 60 ~ 70 μm and 100 ~ 110 μm regions (figure 7(B)). In particular, the EBs with 30 ~ 50 μm diameter presented vastly irregular shape in suspension technology, which was confirmed by the circularity curve (figure 7(C)). On the other hand, EBs generated by 3D bioprinting technology showed higher circularity regardless of the diameter regions, suggesting more regular shape (figure 7(C)). More characteristic like EB forming motivation, size control method, EB diameter range, uniformity, yield, operation complexity were compared among 3D bioprinting technology, static suspension technology and hanging drop technology, as listed in table 1. Figure 7. Comparison of static suspension and 3D bioprinting technology for generating EBs. (A) Phase-contrast images showing the morphology of EBs generated by static suspension technology and 3D bioprinting technology. (B) The EB diameter histograms presented the distribution of EB size with a Gauss distribution fitting. (C) The circularity curves contrasted the EB qualities. Table 1. Comparison of three EB forming methods. 3D cell culture environment and tissue-like models have drawn great attention because they can be tuned to promote certain levels of cell differentiation and tissue organization, which is difficult in traditional 2D culture systems for their failing to reconstitute the in vivo cellular microenvironment [30, 31]. Various 3D culture systems have been developed to study the cellular behavior affected by spatial and temporal cell–cell and cell–matrix interactions. Among these methods, 3D bioprinting, typically containing jet-, laser- and extrusion-based methods, is a promising technique to manipulate cells/matrix deposition and ultimately generate 3D complex tissues or organs. This technique have been used in printing cells derived from adult, embryonic and even tumor tissues for tissue engineering and drug screening applications. With the capacity to expand unlimitedly in vitro and differentiate into a variety of therapeutic cell types, ESCs have generated great enthusiasm and are being applied in bioprinting studies until recently. As a relatively sensitive cell type, ESCs might suffer greater problems in a printing process compared with other types of cells. Several studies had been conducted to print ESCs, maintaining their viability and pluripotency [16–19]. Instead of creating 3D tissue-like constructs, these studies were more likely to generate cellular droplet array with precise control of distribution. Here we described the work of establishing a 3D ESC-laden hydrogel construct using extrusion-based bioprinting technology. The results demonstrated high proliferation rate of pluripotent ESCs in the hydrogel construct, and a versatile technology for generating highly uniform and high throughput EBs. Cell viability after 3D bioprinting and construct formation was determined when evaluating the limitations of bioprinting ESCs. Cells would be lysed or damaged due to osmotic effects in the solution, heat increase and mechanical stress during printing. In the protocol presented in this work, about 6.86% ± 1.31% cells were dead during the cell/hydrogel solution preparation process before 3D bioprinting (figure 2(B)). We assumed this was caused by cell dissociation process, together with the osmosis and stirring operation of hydrogel materials. In an inkjet printing study, 15% Chinese Hamster Ovary cells were detected dead before printing process . Thermal effects of the ejector reservoir in the inkjet printing process and laser force in laser-based printing would be the cause of cell death, in addition to the impact force when cellular droplets were jetted to a rigid substrate in a very short time. Under a different fabricating strategy, the extrusion-based bioprinter extruded the cell-laden cylinders softly on the substrate and controlled the temperature under 30 °C, without the concerns about the thermal and sharply impacting effects. However, cells would inevitably suffer from shear force when the cell-laden hydrogels were continuously extruded through a limited space in the nozzle. We hypothesized that nozzle size and hydrogel viscosity would influence shear force and hence influence cell viability. The cell viability data of different nozzle sizes, chamber and insulation temperatures supported this hypothesis (figures 3(A) and (B)). In our previous study, more than 90% Hela cells were alive after bioprinting under the parameters of Insu-25 °C/Cham-4 °C and Nozzle-260 μm , while the viability of ESCs was only 55.52% ± 2.37% under the same parameter combination. When increasing the insulation and chamber temperature to 30 °C and 10 °C respectively, the viability showed a significant increase to 90%. Taking into the account of cell death before bioprinting, optimized parameters led to only 5% cell death during printing, indicating a broad future applicability of this technique to various cell types ranging from tumor cells to ESCs. Additionally, few dead cells were observed during one-week culture period (figure3(C)). On the other hand, when the culture period was extended to more than 7 days, more and more ESCs suffered from apoptosis and lysis, possibly due to contact inhabitation and insufficient mass transfer to the center of EB with the increasing of EB size. Therefore, 7 days was chose as the experiment time window for this study. Apart from cell viability, the maintenance of pluripotency is another essential criterion for ESCs regulation and application. The results of immunofluorescence staining and FACS analysis showed a high expression rate (98%) of stem cell pluripotent markers Oct4 and SSEA1 at day 7 (figure 4), indicating that cells remained undifferentiated state during the whole experimental period. Naturally, it can be inferred that the printing process also had little influence on ESC pluripotency. In the cell-laden hydrogel culture system, both the cell type and matrix material could influence cell growth. Human mesenchymal stem cells remained alive but did not proliferate when encapsulated in alginate [33, 34]. While human ADSCs could proliferated for a short period of time in alginate hydrogel microspheres but showed significantly higher proliferation rate in gelatin/alginate microspheres . As a widely used hydrogel, alginate has the disadvantages of low cell adhesiveness and poor support for cell proliferation . Adding gelatin would improve the cellular adhesive condition and hence favor cell expansion. In this study, the fabricated multilayered constructs offered a 3D microenvironment surrounded by gelatin/alginate materials for ESCs to adhere, self-renew, and cellular spheroid, termed EB, was generated in situ because of cell proliferation. Once EB was formed, the spheroid structure supported expansion of subpopulations with differing proliferation, nutrition and oxygenation status compared with conventional monolayer system. It is reported that the proliferation of mouse ESCs was higher when embedded in fibrin gels versus 2D suspension culture . Similarly, in this study, ESCs in 3D constructs proliferated faster than 2D culture sample when being released from hydrogel to read OD value. This operation was aimed to avoid the influence of interactions between reagent molecular and matrix materials (figure 6 and supplement 3). Additionally, the enlargement of EB diameter, which also reflected ESC proliferation, confirmed this result (figure 6). Typically stimulated via generation of EBs, ESC differentiation depends on numerous cues throughout the EB environment, including EB size and shape, as well as their uniformities. In general, several characteristics should be concerned for EB formation system, including reproducibility, symmetry, ease of use and scalability . In the traditional EB formation methodology, like suspension and hanging-drop, EBs were created via cell gathering and proliferation. In these methods, it was essential to get a balance between allowing necessary ESC aggregation for EB formation and preventing EB agglomeration for efficient cell growth and differentiation . Static suspension cultures produced a large number of EBs with simple operation, but the size and shape of the resulting EBs were highly uncontrollable and irregular due to the tendency of EBs to agglomerate after initial formation, as shown in figure 7. Hanging-drop method served as a golden tool to generate uniform and reproducible EBs with fully aggregating of cells under gravity and non-agglomeration of EBs in different drops. However, it faced the intrinsic limitation of scalability. The 3D bioprinting method presented in this study addressed some of the problems, producing massively homogeneous EBs with regular shape and controllable shape. In this 3D cell-laden hydrogel system, ESCs were immobilized and restricted to aggregate with each other, and would not agglomerate until they are large enough to connect with each other. When the initial cell density was increased, the average distance between two original EBs was closer and these EBs are more likely to agglomerate with each other while proliferation, which is also one of the concerns when we choose the experiment time period. As a result, the EB uniformity of 2.0 mln mL−1 group was not that good as those of 0.5 mln mL−1 and 1.0 mln mL−1 groups, especially after culturing for one week (figure 6). Without the initial cell aggregating, the size of EBs in our model was mainly determined by the culture time. Also, it would take longer to reach the same scale of EB diameter compared with suspension method, probably due to the physical constrain of the matrix material. For example, it took 5 days and 2 days to get EBs ranging 60 ~ 70 μm for 3D printing and suspension methods, respectively (figure7). Besides, thanks to the interconnected channels design in the 3D construct which allowed mass transfer, EBs could be produced in a large scale by changing the construct volume and cell density. In the six-layer construct with 1.0 million cells per milliliter for example, EBs got a stable yield of about 3000 cm−2, while the EB yield by suspension technology was about 900 cm−2(seeding 0.5 million cells in a 35 mm dish) and no more than 10 EBs  could be produced in 1 cm2 area in hanging-drop method, which was also demonstrated by our experiments (supplement 4). In summary, this study presented the high throughput production of pluripotent, uniform, regular and controllable EBs with the diameter smaller than 150 μm during one week culture. In a gelatin-based laser printing method, EBs with the diameter of about 100 μm were also generated to avoid EB agglomeration in gels . EBs with different size exhibit different gene expression and differentiation fate. Park et al  found that 100 μm diameter EBs of mouse ESCs expressed increased ectoderm markers while 500 μm diameter EBs expressed endoderm and mesoderm markers. Furthermore, Messana et al  demonstrated that mouse ESCs derived from small EBs (<100 μm) had a greater chondrogenic potential than those from larger EBs. Hwang  reported that human endothelial cell differentiation was increased in smaller EBs (150 μm) while cardiogenesis was enhanced in larger EBs (450 μm). However, large EBs might be associated with limited mass transfer and the diffusion of biochemical through EBs is demonstrated to be linked to differentiation of ESCs . While the effect of EB size on differentiation remains to be shown in our model, we hypothesize that EBs with the diameter smaller than 150 μm would mediate specific differentiation trajectory, which will be confirmed in the future work. Demonstrating the advantages of reproducibility, high throughput, regular shape and controlled size, we believe this is a versatile technology for EB generation. But, this 3D printing system does not serve as an EB formation method solely. The ESC-laden hydrogel 3D construct can be dissolved at a proper time point to harvest massive EBs with desired size for ES cell research. Or, the ESC-laden hydrogel 3D construct can be maintained to perform 3D ESC differentiation studies to explore the regulation of EB size, matrix material and 3D structure on ESC differentiation lineages. Furthermore, this technology hold the potential to serve as a versatile tool for the generation of tissue-like structure and organ/tissue on chip based on controlled ESC differentiation. In this study, we reported successful bioprinting of mouse ESCs with hydrogel into a 3D multilayered construct for the first time. Extrusion-based bioprinting technology was applied. Upon parameter optimization, ESCs demonstrated high viability of 90% after 3D printing and construct formation. Cells continued self-renewal in the construct and exhibited a higher proliferation rate compared with conventional 2D culture. 98% cells expressed the canonical pulripotent markers Oct4 and SSEA1 at day 7, indicating that most of the ESCs remained undifferentiated state after printing and culturing. Large quantities of uniform EBs with regular shape and adjustable size were generated through cell proliferation, while avoiding EBs agglomeration. This work indicated the feasibility of fabricating complex 3D tissue-like model based on pluripotent stem cells for applications in pharmacy, regenerative medicine, stem cell expansion and biology studies. We report the first investigation into the bioprinting of human induced pluripotent stem cells (hiPSCs), their response to a valve-based printing process as well as their post-printing differentiation into hepatocyte-like cells (HLCs). HLCs differentiated from both hiPSCs and human embryonic stem cells (hESCs) sources were bioprinted and examined for the presence of hepatic markers to further validate the compatibility of the valve-based bioprinting process with fragile cell transfer. Examined cells were positive for nuclear factor 4 alpha and were demonstrated to secrete albumin and have morphology that was also found to be similar to that of hepatocytes. Both hESC and hiPSC lines were tested for post-printing viability and pluripotency and were found to have negligible difference in terms of viability and pluripotency between the printed and non-printed cells. hESC-derived HLCs were 3D printed using alginate hydrogel matrix and tested for viability and albumin secretion during the remaining differentiation and were found to be hepatic in nature. 3D printed with 40-layer of HLC-containing alginate structures reached peak albumin secretion at day 21 of the differentiation protocol. This work demonstrates that the valve-based printing process is gentle enough to print human pluripotent stem cells (hPSCs) (both hESCs and hiPSCs) while either maintaining their pluripotency or directing their differentiation into specific lineages. The ability to bioprint hPSCs will pave the way for producing organs or tissues on demand from patient specific cells which could be used for animal-free drug development and personalized medicine. New drug development can take 10 to 20 years with an estimated average of about 9 to 12 years [1, 2]. In addition, only around 16% of the drugs that begin preclinical testing are approved for human use . Some of this low success rate can be attributed to the different responses that animals and humans have to the drugs being tested; some drugs have to be withdrawn from market due to toxic effects on human organs such as liver and heart, despite being tested safely on animals. A possible solution to this might be the creation of human pluripotent stem cell (hPSC) -derived micro-tissues which could be used with organ-on-a-chip devices [4–7]. These micro-tissues are expected to produce the same or similar physiological reaction that the entire organ would but on a much smaller scale. This would result in scalable, faster and potentially more reliable drug testing platform, and hopefully an end to animal testing. hPSCs are the ideal cells to use for this application due to their ability to self-renew indefinitely, which enables large populations of cells to be created easily in vitro, and their pluripotency which means that they can be differentiated into any required adult cell type [8–13]. Pluripotent stem cells can be divided into embryonic stem cells (ESCs) and induced pluripotent stem cells (iPSCs). Human ESCs (hESCs) were first isolated from early human blastocysts in 1998 . Any tissue construct created from hESCs for implantation in vivo would require the patient to receive immunosuppressive drugs and ethical issues still restrict some applications due to their source. iPSCs have neither of these drawbacks as they can be created from harvested adult cells from the patient requiring treatment and as such any implanted cells derived from these iPSCs should not be rejected by the patient’s immune system but may require immunosuppressive drugs at a greatly reduced dosage. In 2006 Shinya Yamanaka discovered that iPSCs can be derived from somatic cells by retrovirally transducing them with four transcription factors—Oct3/4, Sox2, Klf4 and C-myc [15, 16]. These cells have the same self-renewal and differentiation capabilities as ESCs but with the added advantage that iPSCs can be used for autologous therapies. These unique characteristics make pluripotent stem cells ideal for use in a number of applications such as clinical tissue engineering, novel drug discovery and testing for the pharmaceutical industry [8,9, 17, 18]. In the field of biofabrication, great advances are being made towards fabricating 3D tissue and organs with very fine spatial control of cell deposition. From the very first paper that was published investigating printing of biological cells (or bioprinting), tissue engineering was identified as a major application for this new technology . If more complex structures such as organs and tissues were to be printed, the bioprinter would need the ability to transfer microscopic patterns of viable cells of multiple cell types into well-defined three-dimensional arrays that closely mimic the tissue structure. There has been much progress in the development and establishment of several different bioprinting techniques for 3D live constructs [20–22] including those based on laser pulses, inkjets and other more novel approaches. It is an inescapable fact that cells will be subjected to some level of stress during deposition, regardless of the printing technique being used. For example, cells printed by non-contact methods will be affected when they impact on the substrate at some incident velocity, which would result in extreme deceleration and shear stress [23–26]. Shear stress is applied to cells pushed through nozzle orifices and capillary tubes [24, 27–42] and the actuation is provided via pressure, heat, or high frequency vibration which can also be damaging to the cells [30, 31, 43–46]. If cells are exposed to laser energy the radiation can cause genetic damage [29, 47–54] and shear forces are applied during cavitation and jet formation [23, 55]. Ultrasonic actuation for cell transfer would subject the cells to stress in the form of heat and vibration [56, 57]. Therefore, it is important to validate the response of printed cells to any particular bioprinting process in terms of their viability and more importantly their biological functions. We previously reported the results of the first experiments printing hESCs using a valve-based printing approach including their response to the printing process in the form of post-printed viability and pluripotency validation . However, if hPSCs are to be used for producing human tissues on demand for drug testing, their post-printing differentiation must be reproducibly directed to the required lineages for each tissue. Unfortunately homogenous cellular differentiation of hPSCs into some germ layers has proved difficult [12, 13]. Here, we report the first investigation into the bioprinting of human iPSCs, their response to the valve-based printing process as well as their post-printing differentiation into hepatocyte-like cells (HLCs). HLCs that are in the process of differentiating are bioprinted and examined to further validate the compatibility of the valve-based bioprinting process with fragile cell transfer. Finally, 3D hydrogel structures were designed and printed out with encapsulated hESC-derived HLCs and the viability and hepatic characteristics of the cells were investigated. A newer version of our previously reported cell printing platform  has been developed. Four nanolitre dispensing systems, each comprising a solenoid valve (VHS Nanolitre Dispense Valve, Lee Products Ltd) with 101.6 μm internal diameter nozzles (Minstac Nozzle, Lee Products Ltd), were attached to static pressure reservoirs for the bio-ink solution to be dispensed from via flexible tubing. The nanolitre dispensing system and bio-ink reservoirs were mounted onto the tool head of an enclosed custom built micrometer-resolution 3-axis XY–Z stage (figure 1). This newer cell printing platform improved on the previous version by reducing the overall size and weight of the machine, allowing it to be mounted inside a standard tissue culture hood during experiments requiring a sterile environment. Other enhancements included the two extra nanolitre dispensing systems, taking the total up to four, a more robust electronics and custom firmware was developed which improved the reliability and speed of the machine and two separate pressure channels were included, allowing for differential bio-ink dispensing conditions. Unless otherwise stated standard printing conditions were used: for 2D, printing was carried out using a pulse time of 8 ms at an inlet pressure of 0.6 bar using a nozzle with an internal diameter of 101.6 μm; for 3D, printing was carried out using a pulse time of 400 μs at an inlet pressure of 1.0 bar for sodium alginate solution and a pulse time of 400 μs at an inlet pressure of 0.5 bar for calcium chloride solution both using nozzles with an internal diameter of 101.6 μm. Figure 1. (a) Schematic drawing of the cell printer system; (b) detailed schematic of the micro-solenoid valve; (c) schematic of the combinatorial printing process for alginate hydrogel creation; (d) a 3D printed alginate tube structure approximately 13 mm tall printed with 1.5% w/v Sodium Alginate and 600 mM (6%) Calcium Chloride solutions in Millipore water (scale bar 2 mm). The process of in vivo liver organogenesis occurs in the developing foregut, when newly specified hepatic cells separate from the endodermal sheet and form a dense 3D structure known as a hepatoblast (liver bud) [74, 75]. It is hypothesized that arranging the hESC–HLCs in 3D during the differentiation process may yield more mature hepatocytes than conventional 2D differentiation. The hESC differentiation protocols are more efficient and robust than hiPSC protocols therefore only hESC-derived HLCs were printed in 3D. In order for this technique to be useful for tissue engineering applications, structures need to be tall enough to allow cells to interact in a three-dimensional environment. The concentration of alginate solution was set to 1.5% w/v to improve the mechanical strength of the hydrogel and allow it to support further layers. Circular structures with a large number of layers were designed and printed out in the wells of a multi-well plate to allow the structures to be cultured post-printing. These resulting structures were photographed for analysis and are shown in figure 7below. These structures were printed out in a matter of minutes and are strong enough to support their own weight and the weight of further layers (as seen in figure 1(d)). The structures spread slightly, but by slightly altering the volume ratio, concentrations and surface properties this spreading can be reduced. Approximately one hour post-printing one of the HLC-laden alginate ring structures was examined using a confocal microscope; the 3D image is shown in figure 8(a). Cell viability was calculated to be 55.5% using the Imaris confocal microscope software. Cell viability declined over the first 24 h which resulted in low cell numbers for hepatic marker testing following the 3D differentiation process, but the viability remained stable for the remainder of the differentiation process. At day 23 of the differentiation process, the cells in the remaining structures were harvested and stained for the presence of hepatic markers. As shown in figure 8(b), cells are positive for albumin which demonstrates their hepatic lineage. The normal time required for 2D differentiation of hPSC-HLCs is 17–24 d. However, based on the results of albumin secretion in the medium, we observed the 3D printed cells have taken longer to reach the maximum albumin secretion than the 2D control as shown in figure 8(c). Interestingly, when analyzing the difference between 20 and 40 layer printed tube structures, we noticed close-to proportional increase in albumin secretion to the number of layers as shown in figure 8(d). This indicates that the permeability of the alginate hydrogel allows nutrition and differentiation reagents to enter the structure and support 3D differentiation and maturation processes of the cells, regardless of the height of the printed structure. Research is currently underway including investigations to improve the 3D viability and adjusting the differentiation protocol that may facilitate higher albumin secretion. For example, the optimization of hydrogel formation as well as enhanced cell density may improve the differentiation process for hPSCs in 3D [21, 76, 77]. To the best of our knowledge, this study is the first to demonstrate that hiPS cells can be bioprinted without adversely affecting their biological functions including viability and pluripotency. Importantly, we verified that our valve-based printing process is gentle enough to not affect the pluripotency of both hESCs and hiPSCs. A number of different hPSC lines were directed to differentiate into HLCs. Cells were printed during the differentiation process and showed no differences in hepatocyte marker expression and similar morphology when compared to a non-printed control. We previously reported the results of an investigation into the response of hESCs to the valve-based printing process. Here we build on that study, performing a deeper investigation to compare the response of hiPSCs and hESCs to the printing process using flow cytometry. The effect of nozzle geometry was investigated and the effects of nozzle length on the post-printing viability of cells were recorded; longer nozzles lower the post-printing viability of the cells. We printed hESC-derived HLCs in a 3D alginate matrix and tested for viability and hepatic markers during the remaining differentiation and they were found to be hepatic in nature. The ability to bioprint hPSCs while either maintaining their pluripotency or directing their differentiation into specific cell types will pave the way for producing organs or tissues on demand from patient specific cells which could be used for animal-free drug development and personalized medicine. Cellular biomanufacturing technologies are a critical link to the successful application of cell and scaffold based regenerative therapies, organs-on-chip devices, disease models and any products with living cells contained in them. How do we achieve production level quantities of the key ingredient—’the living cells‘ for all biofabrication processes, including bioprinting and biopatterning? We review key cell expansion based bioreactor operating principles and how 3D culture will play an important role in achieving production quantities of billions to even trillions of anchorage dependent cells. Furthermore, we highlight some of the challenges in the field of cellular biomanufacturing that must be addressed to achieve desired cellular yields while adhering to the key pillars of good manufacturing practices—safety, purity, stability, potency and identity. Biofabrication technologies are uniquely positioned to provide improved 3D culture surfaces for the industrialized production of living cells. Drug-loaded microneedle arrays for transdermal delivery of a chemotherapeutic drug were fabricated using multi-material microstereolithography (μSL). These arrays consisted of twenty-five poly(propylene fumarate) (PPF) microneedles, which were precisely orientated on the same polymeric substrate. To control the viscosity and improve the mechanical properties of the PPF, diethyl fumarate (DEF) was mixed with the polymer. Dacarbazine, which is widely used for skin cancer, was uniformly blended into the PPF/DEF solution prior to crosslinking. Each microneedle has a cylindrical base with a height of 700 μm and a conical tip with a height of 300μm. Compression test results and characterization of the elastic moduli of the PPF/DEF (50:50) and PPF/drug mixtures indicated that the failure force was much larger than the theoretical skin insertion force. The release kinetics showed that dacarbazine can be released at a controlled rate for five weeks. The results demonstrated that the PPF-based drug-loaded microneedles are a potential method to treat skin carcinomas. In addition, μSL is an attractive manufacturing technique for biomedical applications, especially for micron-scale manufacturing. Cellular self-assembly based on cell-to-cell communication is a well-known tissue organizing process in living bodies. Hence, integrating cellular self-assembly processes into tissue engineering is a promising approach to fabricate well-organized functional tissues. In this research, we investigated the capability of endothelial cells (ECs) to control shape and position of vascular formation using arbitral-assembling techniques in three-dimensional engineered tissues. To quantify the degree of migration of ECs in endothelial network formation, image correlation analysis was conducted. Positive correlation between the original positions of arbitrarily assembled ECs and the positions of formed endothelial networks indicated the potential for controlling shape and position of vascular formations in engineered tissues. To demonstrate the feasibility of controlling vascular formations, engineered tissues with vascular networks in triangle and circle patterns were made. The technique reported here employs cellular self-assembly for tissue engineering and is expected to provide fundamental beneficial methods to supply various functional tissues for drug screening and regenerative medicine. Three-dimensional (3D) cell printing technology has provided a versatile methodology to fabricate cell-laden tissue-like constructs and in vitro tissue/pathological models for tissue engineering, drug testing and screening applications. However, it still remains a challenge to print bioinks with high viscoelasticity to achieve long-term stable structure and maintain high cell survival rate after printing at the same time. In this study, we systematically investigated the influence of 3D cell printing parameters, i.e. composition and concentration of bioink, holding temperature and holding time, on the printability and cell survival rate in microextrusion-based 3D cell printing technology. Rheological measurements were utilized to characterize the viscoelasticity of gelatin-based bioinks. Results demonstrated that the bioink viscoelasticity was increased when increasing the bioink concentration, increasing holding time and decreasing holding temperature below gelation temperature. The decline of cell survival rate after 3D cell printing process was observed when increasing the viscoelasticity of the gelatin-based bioinks. However, different process parameter combinations would result in the similar rheological characteristics and thus showed similar cell survival rate after 3D bioprinting process. On the other hand, bioink viscoelasticity should also reach a certain point to ensure good printability and shape fidelity. At last, we proposed a protocol for 3D bioprinting of temperature-sensitive gelatin-based hydrogel bioinks with both high cell survival rate and good printability. This research would be useful for biofabrication researchers to adjust the 3D bioprinting process parameters quickly and as a referable template for designing new bioinks. Due to its simplicity and effectiveness, the physical blending of polymers is considered to be a practical strategy for developing a versatile scaffold having desirable mechanical and biochemical properties. In the present work, an indirect three-dimensional (i3D) printing technique was proposed to fabricate a 3D free-form scaffold using a blend of immiscible materials, such as polycaprolactone (PCL) and gelatin. The i3D printing technique includes 3D printing of a mold and a sacrificial molding process. PCL/chloroform and gelatin/water were physically mixed to prepare the blend solution, which was subsequently injected into the cavity of a 3D printed mold. After solvent removal and gelatin cross-linking, the mold was dissolved to obtain a PCL–gelatin (PG) scaffold, with a specific 3D structure. Scanning electron microscopy and Fourier transform infrared spectroscopy analysis indicated that PCL masses and gelatin fibers in the PG scaffold homogenously coexisted without chemical bonding. Compression tests confirmed that gelatin incorporation into the PCL enhanced its mechanical flexibility and softness, to the point of being suitable for soft-tissue engineering, as opposed to pure PCL. Human adipose-derived stem cells, cultured on a PG scaffold, exhibited enhanced in vitro chondrogenic differentiation and tissue formation, compared with those on a PCL scaffold. The i3D printing technique can be used to blend a variety of materials, facilitating 3D scaffold fabrication for specific tissue regeneration. Furthermore, this convenient and versatile technique may lead to wider application of 3D printing in tissue engineering. 3D printing of human tissue requires a blood supply to support tissues that are more than a few millimeters thick. In recognition of the importance of achieving bioprinting with functioning vasculature, a Chinese company has committed to building a BioPrinter and BioInk (cell precursors and support) focused on vasculogenesis suitable for human implants. Meanwhile, researchers in the United States and in Australia have succeeded in printing vascular trees, for example, a branching vascular-like structure that supported blood circulation when grafted to a rat. 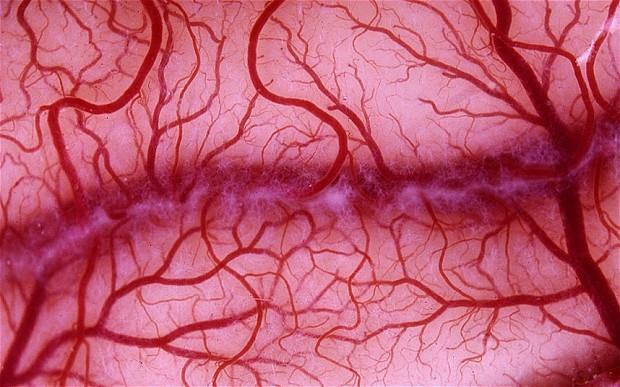 The vascular pathways are printed within surrounding structures as a dissolvable substance (e.g., sugar) subesquently removed. Remaining steps include establishing adequacy of tissue perfusion and sustainable viability of the vessel integrity and function as well as survival of the surrounding tissue. Adult humans maintain abilities to remodel blood vessels (vasculogenesis, arteriogenesis, angiogenesis) so it may suffice to provide printed blood conduits and precursor cells and/or stimulants as a bridge and scaffold to vasculature development plus tissue perfusion in vivo, if they can meet the milestones of adequacy of biosafety, support of blood circulation, tissue perfusion, sustainability, as well as adaptation with promotion of growth and remodelling as needed. There may be another machine to add to our list of top 10 bioprinters on the market, or in development. 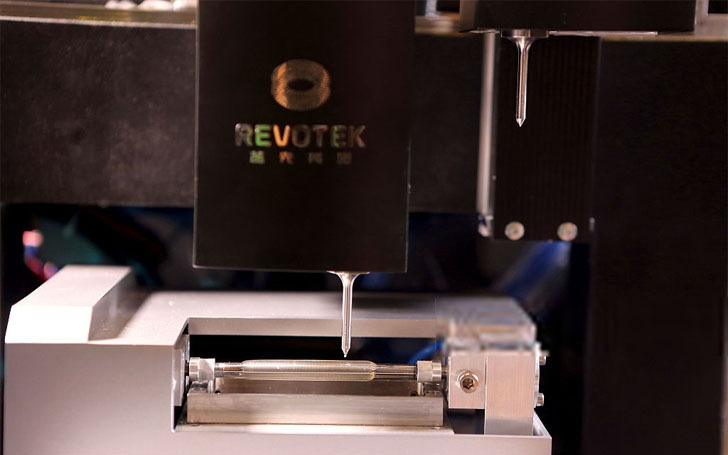 And this one could prove to be more important than all of the rest, as Revotek, the Chinese company behind the technology, claims that their new bioprinter is capable of 3D print blood vessels, a missing key ingredient to more complex 3D printed tissues. In the video below, you’ll see the blood vessel printer working two nozzles alternatively to 3D print biocompatible tissues in the shape of a blood vessel. It is claimed that the system is capable of creating a 10-cm tube in just two minutes. The material is then placed into a culture of stem cells, growth factors, and nutrients, where Revotek says that it can differentiate the cells necessary to create a functioning blood vessel, keeping the stem cells active the whole time. There are numerous cases of researchers and businesses working to 3D print blood vessels, which would be necessary to bring blood flow to cells being cultivated into complex organ tissues. 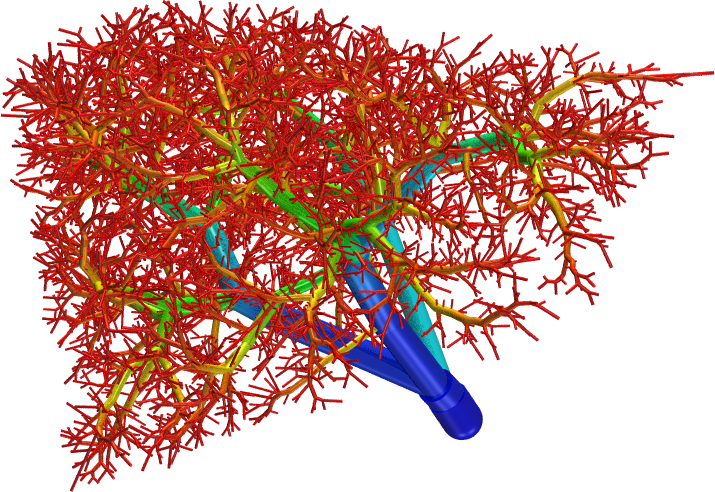 Researchers at Harvard were able to print blood vessels in February of 2014; the Wake Forest Institute for Regenerative Medicine (WFIRM) is working towards the same goal; and the Fraunhofer Institute has its ArtiVasc3D project. The implication here is that Revotek has fully completed its system, paving the way for commercial and research use. With both China as an up-and-coming player in the 3D printing industry and bioprinting as the biggest new process on the horizon, it’s no surprise that the two have come together, culminating in what could offer to serve as one of the most significant breakthroughs yet. 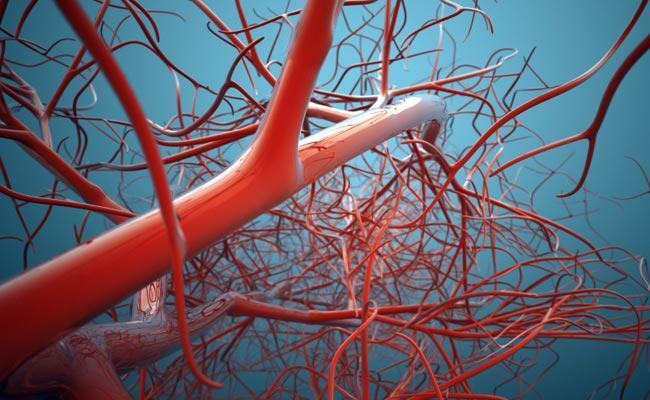 According to biotechnological company Sichuan Revotek Co., Ltd based in Chengdu, Sichuan Province, they are responsible for becoming the first producer of 3D printed blood vessels. While the concepts of bioprinting are clear in terms of using 3D printers to facilitate the fabrication of live tissue and cellular structures with the goal being to stretch that toward organs, what has been truly challenging up until now is finding the tools and materials that can handle the job. From the software to the hardware and the actual ink, these are the areas those in research and development have reported lacking. Now, Sichuan Revotek reports that not only do they know how to bioprint the blood vessels, but they have a comprehensive plan for doing so. They claim to have produced a full package to consist of stem cell bio-ink technology, a 3D bio-printer, and even a cloud computing platform. 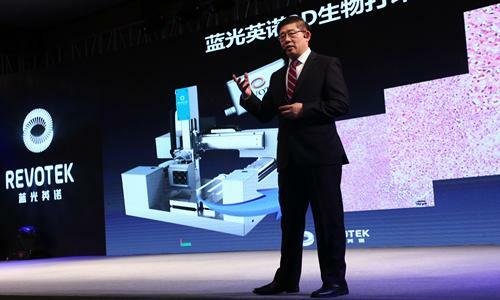 “The creative breakthrough in the 3D blood vessel bio-printing means we have mastered the stem cell-based 3D bio-printing technology,” said Yang Keng, chairman of Sichuan Languang Development Co, Ltd. This research and development program was headed up by James Kang. An expert in the area, he explains a little bit of basic information about blood vessels, as in essence they are an intricate and crucial part of bioprinting because they are the vehicles by which important nutrients travel to organs; thus, if scientists are hoping to produce 3D printed organs soon, they will need to be able to create these ‘indispensable elements’ for fabricating organs. Having the correct tools in place to make these elements overcomes a giant hurdle as so much of the problem is in producing the tissue gently so as not to damage or kill it all together. “We have successfully realised the blood vessel regeneration by relying on the 3D bio-printer, the biosynsphere technology and the data model based on cloud computing,” Kang said. The bio-ink that Kang and his company have developed is called Biosynsphere, and it is meant to offer patient-specific bioprinting for stem cells. This should add to the continued progress and eventual goal of many scientists hoping to be 3D printing organs in the near future. The building of a foundation toward 3D printing organs is very important in that scientists could transform the traditional process of offering patients organ transplants. It’s possible that the days of long waiting lists and issues with organ rejection would be eliminated as 3D printing would offer immediate results with patient specific tissue. Being able to create the artificial network required with blood vessels is one more huge advance for the medical industry toward the eventual fabrication of organs. What will this new ink eventually lead to? Let’s hear your thoughts in the 3D Printing Stem Cells forumthread on 3DPB.com. Above: An illustration of the inside of a blood vessel. Hundreds of thousands of people die annually because the demand for organs far exceeds the donor supply. Artificial organs could save those lives — and scientists just made a huge breakthrough in the field by “bio-printing” artificial vascular networks. Researchers from the University of Sydney, MIT, Harvard, and Stanford have successfully bio-printed blood vessels, offering 3D-printed organs access to nutrients, oxygen, and waste-disposal routes, according to a study published Monday. “While recreating little parts of tissues in the lab is something that we have already been able to do, the possibility of printing three-dimensional tissues with functional blood capillaries in the blink of an eye is a game changer,” said Dr. Luiz Bertassoni, the study’s lead author and a University of Sydney researcher. To 3D print vascular networks, the researchers fabricated fine, interconnected fibers with an advanced bioprinter. Then they coated those fibers with human endothelial cells — these sit between circulating blood and vessel walls in the interior of blood vessels — and subsequently applied a protein-based material. They hardened the whole structure with light, then delicately removed the fibers, leaving behind a complex network of hollow cell material. After a week, those cells organized themselves into stable capillaries. Cells inside the bioprinted vascular networks survived, differentiated, and proliferated at better rates than cells that received no nutrient supply.